Last week I shared my Top Ten Books of 2015, now I want to give you a quick insight into my Top Ten Others (Blogs / Podcasts / Websites) of 2015. From my laptop to my phone, I use these resources to help make me a better leader, dad, and husband. A few of these also provide simple entertainment and ideas for recreation. Similar to my last post, they are not in any particular order. All Pro Dad. All Pro Dad’s mission is to help men love and lead their family well. From marriage advice to practical dad tips and even a pretty neat “Stuff Men Should Know” section, All Pro Dad has something for everyone. They routinely have quick read articles or interviews with professional athletes, business and church leaders, and regular Joes. I typically connect with All Pro Dad via Twitter. careynieuwhof.com. Carey Nieuwhof (the founding and teaching pastor of Connexus Church north of Toronto, Canada) has created quite a following with his blog, podcast, and books. I am a consumer of all three of his platforms (especially love his podcasts) and continue to learn from each of them. Carey has a simple goal of “helping leaders lead like never before.” For any leader in the local church, this is the place to start! Explore Texas. From backroad diners to tips on hiking and camping spots to any and all things Texas history this blog has everything you need to explore Texas. The blog’s author, Omar Garcia, is an experienced world traveler (gobeyondblog.com) that has now turned extra attention and efforts to capturing his adventures in Texas. If you are looking to see Texas through fresh eyes or maybe you’re considering venturing down long stretches of Texas backroads on your own – this blog is for you. Trust me, through Omar and his stories, you will certainly make a few new discoveries about the Lone Star State! challies.com The second Canadian on my list, Tim Chailles (it’s pronounced CHALL-eez and rhymes with “valleys” and “rallies) is the senior Pastor at Grace Fellowship Church in Toronto, Ontario. I value Tim’s blog due to its variety and daily updates. Tim has book reviews, links to articles, guest commentaries, etc… Tim’s passion is theology and the local church so the majority of his selections lean that way. This American Life. Most weeks This American Life is the most popular podcast in the country, with around one million people downloading each episode. Primarily a journalistic non-fiction program, it also features essays, memoirs, field recordings, and short fiction. Each week’s show has a theme, explored in several “acts.” Stories are often told as first-person narratives and the mood of the show ranges from gloomy to ironic, from thought-provoking to humorous. Although much different than the other podcasts I listen to, I have continually found myself captivated by many of these stories. bradlomenick.com/bradblog/ Brad Lomenick is a leadership consultant, speaker, and author of The Catalyst Leader and H3 Leadership. He writes about leadership, creativity, innovation, social media, teamwork, and personal growth. Many of his interviews are also included on the Catalyst podcast however his blog is worth following. Brad is a high caliber leader with a lot to offer. Check him out! The Andy Stanley Leadership Podcast. Probably my favorite podcast to listen to! Created by Andy Stanley (Author, Pastor, and Founder of North Point Ministries in Alpharetta, Georgia), The Leadership Podcast is designed to “help leaders go further, faster.” Made for leaders in any organization, Andy provides leadership lessons and principles in his usual simple and easy to understand way. If you want a sampling of what a typical podcast with Andy is like take a listen to “The Question that Great Leaders Ask” released on April 30th of this year. If you want to lead and lead well, subscribe to Andy’s podcast! Catalyst. Catalyst seeks to “unify change makers.” Through their annual leadership conferences Catalyst brings together hundreds of leaders throughout numerous organizations. I recommend you take a look at their robust website for a better understanding of what they offer. In addition to their website, I subscribe to their podcast and also have their App on my phone – both great tools. Best of Mike and Mike Podcast. If you know me, you know I love sports. On this podcast, Mike Greenberg and Mike Golic (Mike and Mike) break down the top news, games and drama throughout the sports world. I have been watching and listening to Mike and Mike for over a decade. Unfortunately I don’t have the margin to listen or watch all 3 or 4 hours of their daily show so this podcast helps me stay up to date with some of my favorite sports personalities. If you are a sports fan, tune in! Leadership Journal. Leadership Journal is published by Christianity Today and offers smart, honest perspective on matters of ministry and the Christian leadership experience. In both its quarterly print edition and robust website, readers can count on candid articles and in-depth interviews. The goal of LJ is to help leaders enhance their ministry, encourage community, and grow their leadership. I follow LJ on Facebook and Twitter. These platforms provide quick reads on a daily basis. What about you? 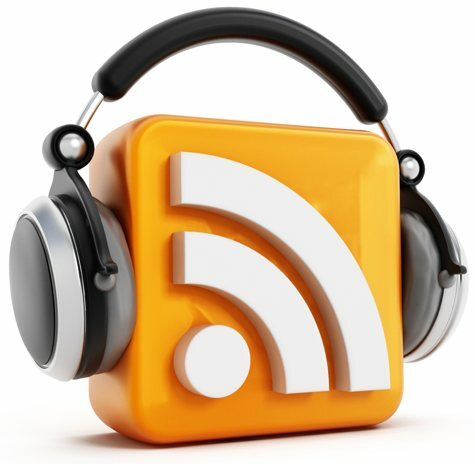 What blogs, podcasts, or other platforms do you routinely follow? This entry was posted in Leadership, Misc and tagged 2015, best of, blog, podcast. Thanks for including my Explore Texas Blog on your list, Brad. And thanks for your presence in the blogosphere. Happy to be a follower. Always enjoy reading your thoughts, reflections, and insights on life and leadership. It is a pleasure to serve with you at Kingsland.